Ladies work Blouses and shirts. 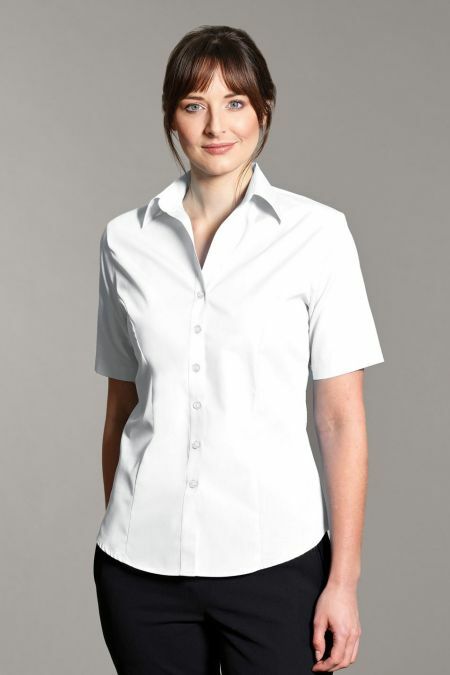 We have a great selection of easy care simple blouses ideal for work. These are perfect for matching our ladies suits, whether you are after a blouse to match a trouser suit or a skirt suit. If it is just white you are after, then please see our White Short sleeve blouses. 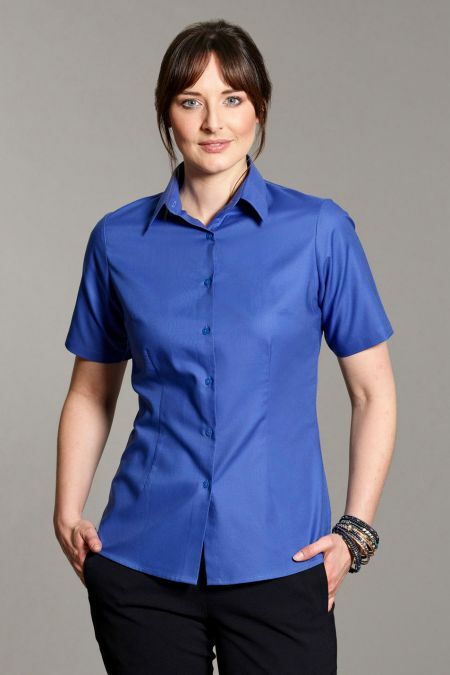 Or if you are in need of something that is fitted, then disley have a ladies fitted blouse that might suit. 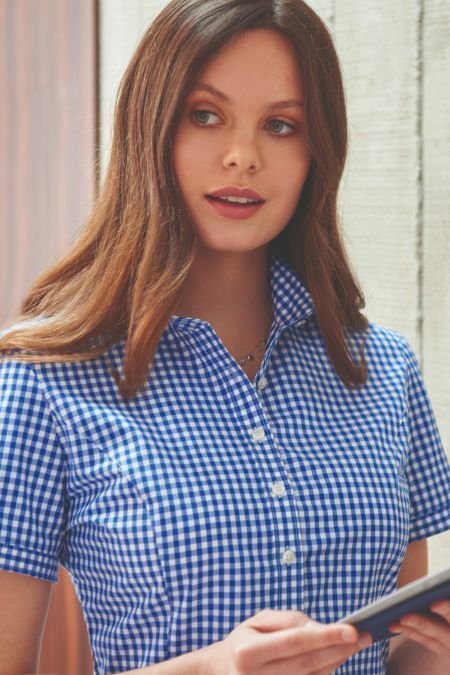 Or our selection of Brook Taverner blouses can be all found here. Womens Cotton Rich Half Sleeve blouse. Classic collar. Concealed front buttons. Darted fit. Wrinkle Free easy care fabric. This cotton-rich short sleeve blouse is styled to shape and flatter. With sensible colours and easy-care and easy-iron practicality, it’s an everyday office staple. This cotton-rich short sleeve ladies blouse incorporates a flattering fit for a casually stylish, comfortable look. Also features easy-care and easy-iron practicality. A lovely cotton touch blouse with a stunning contrast edge. Moira by Disley in the classic tailored Oxford design. Short Sleeve Soft Touch Printed Blouse that is perfect for the warmer days. A great short sleeve printed blouse for everyday wear. Short sleeve v-neck Comfort Stretch blouse with cut-away sleeve detail & deep side vents. Short Sleeve printed blouse with contrasting collar and button detailing. A lovely short sleeve blouse perfect for the warmer weather. A lovely short sleeve striped cotton touch blouse that is perfect for Summer. Lovely Petal Print Ladies Blouse, perfect for day to day occasions. 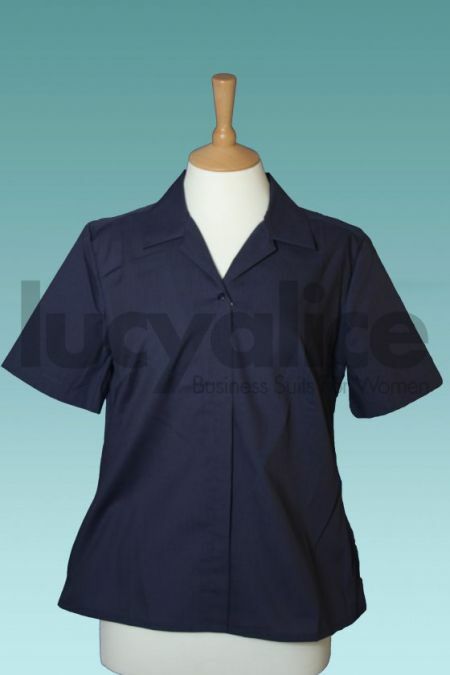 A lovely short sleeve cotton touch shirt style blouse with a rounded collar. Disley semi fitted fly front, concealed front fastening. Crepe De Chine Verona short sleeve Plain & Pattern Collection. V-neck Cotton Touch Stretch blouse available in short & long sleeve, with double buttoning & deep side vents. Short sleeve v-neck blouse in ‘ellipse’ design printed soft touch crepe. 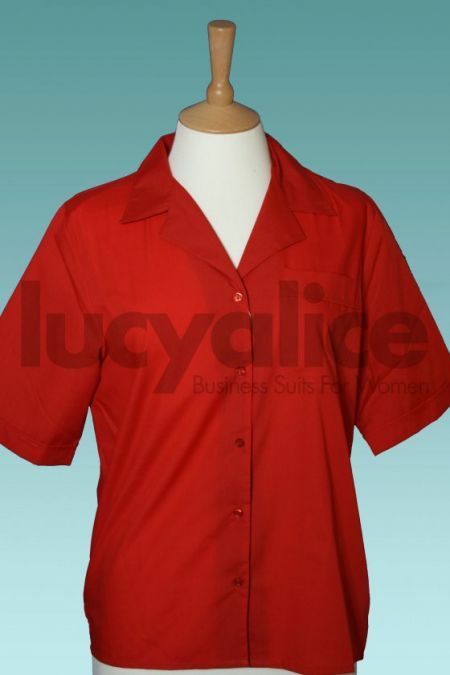 Short sleeve Cotton Touch Stretch blouse with stand collar and feature pin tuck detailing. Short sleeve v-neck blouse in ‘diamonds’ design printed soft touch crepe. Short sleeve v-neck blouse in ‘spades’ design printed soft touch crepe. Short sleeve Cotton Touch Stretch v-neck top with side zip fastening and shaped front panelling. Short sleeve blouse with inverted pleat detail, in ‘ribbons’ design printed soft touch crepe. Shirt style blouse available in short & long sleeve, with concealed front fastening.